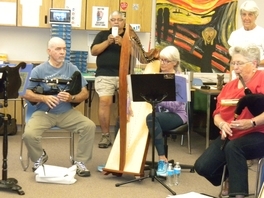 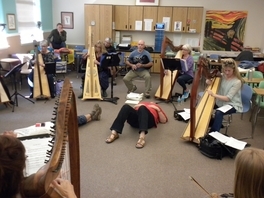 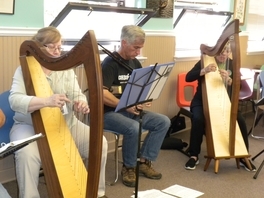 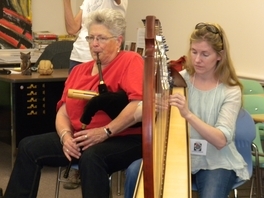 For the past four years, the Spanish Peaks Harp Retreat has offered a joint workshop with the Spanish Peaks Piping Retreat. 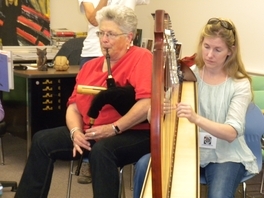 Julie Norem-Hawley works with the lead piper duirng the year and they work out tunes that both the harps and the pipes can play together. 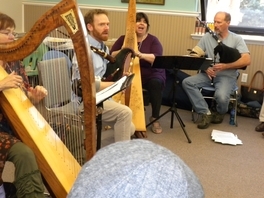 Tunes are sent to harpers before the retreat and they are worked on again during the retreat. 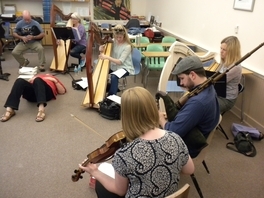 On Saturday there is a workshop for both instruments (occasionally a fiddle might drop in and accompany as well). 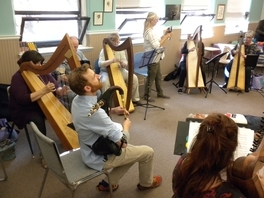 This has been a learning experience in seeing how another instrument works and is played and in adapting one's own level of playing to play with others.